The National Oceanic & Atmospheric Administration has completed the deployment of a tsunami warning system for the US by installing buoys throughout the ocean intended to give advanced warning of an impending tsunami. NOAA deployed the final two tsunami detection buoys in the South Pacific this week, completing the buoy network and bolstering the U.S. tsunami warning system. This vast network of 39 stations provides coastal communities in the Pacific, Atlantic, Caribbean and the Gulf of Mexico with faster and more accurate tsunami warnings. DART stations consist of a bottom pressure sensor anchored to the seafloor and a companion moored surface buoy. 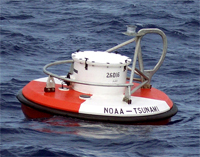 An acoustic link transmits data from the bottom pressure sensor to the surface buoy, and then satellite links relay the data to NOAA tsunami warning centers. 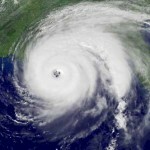 The DART network serves as the cornerstone to the U.S. tsunami warning system. Assisting Australia and Indonesia with installing tsunami warning systems off their coasts. I find it interesting that NOAA is responsible for tsunami detection since tsunami’s are not related to the weather…. Paul: Don’t forget that NOAA handles not only the atmosphere, but also the oceans (the National OCEANIC and Atmospheric Administration). They are the light bulbs that look like a folded tube of glass. what household loads are already connected to that circuit.